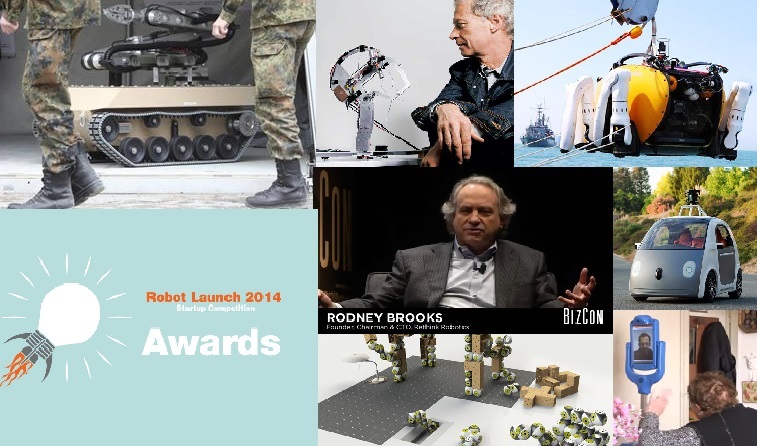 The risks and regulation of autonomous robots featured prominently in the news this May 2014, including a debate at the United Nations on the regulation of lethal autonomous weapons. Professors Ron Arkin and Noel Sharkey spoke at the event, which aimed to cover the key issues surrounding the use of autonomous technology for warfare. However, with only five out of eighty-seven countries currently supporting a pre-emptive ban on lethal autonomous weapons, agreement on their regulation seems a long way off. Interestingly, the US Navy appeared to have put some thought into the risks of automation and offered a $7.5 million grant for the development of autonomous robots with moral ethics. Public discourse around autonomous robots went beyond the weapons debate to include a lively discussion about autonomous cars, which also featured heavily in the news this month. Google presented its first prototype of a purpose-built autonomous car and pointed out that none of their autonomous cars had ever gotten a ticket. On Robohub, readers completed our first poll focused on autonomous cars and their regulation, giving their opinion on whether the unlicensed should be allowed to ‘drive’ them and whether these cars should be allowed to speed. Some big names in science also spoke out this month about the risks associated with autonomous robots and artificial intelligence, as well as their potential. Stephen Hawking and a number of other leading scientists discussed what AI has to offer and why we might need to take the risks linked to it more seriously. And Rodney Brooks spoke about what robots can and cannot do, and argued that autonomous or intelligent robots are not necessarily a bad or scary thing. The robots and jobs question was reignited this month when Amazon announced that it will have 10,000 robots in its warehouses by the end of this year. Amazon said that despite the increase in robots, they will not be reducing the number of people employed in their warehouses, supporting the idea that robots maybe best seen as co-workers rather than competitors. In developed economies, at least, robots seem to create high quality jobs through the reshoring, and are here to stay in many industries. Another hot topic on Robohub this month was the announcement of the winners of the Robot Launch competition, the first ever global robotics competition, run jointly by Robohub and Silicon Valley Robotics. The grand winner was Leka, a startup from France that develops intuitive and intelligent toys for autistic children, supporting children’s learning and development. Various other ways in which robots could support us and make our lives just that little bit easier also featured in May’s news. Word is that Apple is developing a new smart home platform that will allow users to unite the various applications they use in their home. Cleaning robots were also a theme this May, including a ROS-based cleaning robot from Avidbots (who received an honourable mention in the Robot Launch competition), and a feature article on various commercial cleaning robots. There was also a focus on robots for elder care this month, with an article on how technology could help senior citizens live independently at home for much longer, and an inspiring story of a 94-year-old lady who is able to do just that thanks to her helper robot ‘Mr Robin‘. However, robots don’t just have the potential to help with cleaning or care of the eldery, and this was demonstrated once more this May when robots were deployed after the South Korean ferry disaster to survey the wreck and to support the rescue operation. In other robots news, researchers at EPFL in Switzerland have developed robotic, self-configuring furniture that can transform living spaces; and a group of researchers at CU Boulder want to build a swarm of 1,000 droplet robots and plan to use crowd funding to get it done. Also in the news this May: at the SOLID conference in Fort Mason, Robohub’s very own Andra Keay gave a keynote speech asking “Are robots the new black?”; and, last but not least, the robotics community bid farewell to Professor Rolf Pfeifer this month, who announced his retirement after 30 years in AI. Robohub wishes him well.